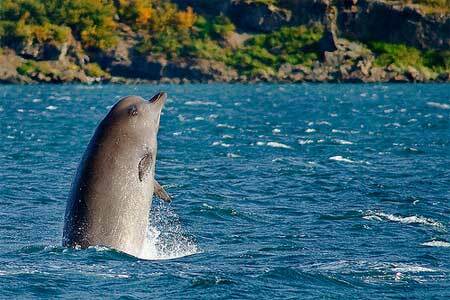 ​The northern bottlenose whale can be found in the North Atlantic Ocean and cool subarctic waters. They are the largest whale in the beaked whale family and have a large body and a small, triangular dorsal fin. They are capable of holding their breath for up to 2 hours, but tend to only dive for 10 to 60 minutes. Their habitat often consists of steep underwater structures and canyons up to 2000 metres deep.